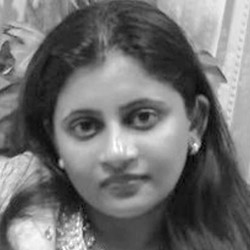 SPEAKER INTERVIEW- NIDHI CHAVAN, AL FUTTAIM LLC. Nidhi Chavan was interviewed by the team at Information Exchange Group ahead of their upcoming event Technology and Innovation in Retail 2016. Yes, very much. The best way to predict the future is to create It and that’s ‘Innovation’. Innovation could be transformational or small; in the form of process or technology but it helps organizations to grow further. It drives business in a smarter way with increased productivity and helps reach new heights of customer expectations resulting from the increased revenue targets. Does mobile commerce spell the end of traditional stores? Modern customers are smart and tech-savvy. In current world, everyone likes having information on fingertips before taking any decisions. Mobile commerce helps them with precious input compared to a sales associate, due to abundant information availability. It assists in shopping at stores, trends and pricing. But it does not mean end of physical stores as large amount of customer base still believes in touch and try. I think stores will cater to direct customer services, wider assortment showcase, distribution and fulfillment as they serve full-fledged shopping experiences. How does the future of the store look to you in the next 5 years? What are the innovations to watch out for? Future stores will be highly technology enabled. Retailers will try to potentially grab every single opportunity to attract, serve, know and retain their customers. Interactive promotions with beacons and CRM, quick fulfillments using digital commerce, RFID for right product availability, customer biometrics will be affluent trends. Futuristic drive will be use of virtual reality for customer try-outs and style checks. I also feel, use of loyalty systems with social media integration will become imperative need to understand customer shopping requirements and brand cult. Do you think skillsets needs to be upgraded to get maximum return on the investments in digital? Yes, digital era will require both back-end and front-end teams to be more agile and efficient. Teams need to work on new technologies as well as ways of doing things; leaving traditional concepts behind. Retailers will be pressurized to work on accurate demand planning, rich assortments and supply chain i.e. Right product availability @ right time, place and price to support customers. Major process re-engineering and Innovation drives will be adapted by businesses to ride on the digital wave that will demand niche talent or upgrade in current skills. With rising inflation and high rentals, both warehousing and store spaces will thrive for high returns. Both the channels; be it physical or online, will need high standards of customer service levels to take care of customer expectations. Looking at current scenarios, there are still many services offered only at stores typically in luxury, specialty fashion and precious retailing segment, which wins customer delight. These could be meet and greet, assistance throughout the customer journey, merchandise trials and offering personalized shopping and many more. I think physical connection will be important in that perspective. Digital world can take help of social media space and also make use of their physical spaces either showrooms or customer service centers to cater to their customers. What are the technologies that you are looking to invest in or closely tracking for your immediate needs? We are working on enhancing our demand planning and end to end supplier collaboration area. This will strengthen our business strategy and back-end processes. On store front, lot of efforts are invested in promoting brand outlooks for customer journey. The initiatives like CRM, interactive promotions, mobility and social engagement with customers will help us spearhead the competition.